I am blessed to be spending the week with fellow seekers on the contemplative path. We are immersed in silence and awareness of the presence of the holy all day long. Even at mealtimes when we’re laughing at someone’s joke or telling workplace horror stories, still the presence is there, in our consciousness, a part of who we are. And so when the Spirit moves in a special way, I feel doubly blessed, as I did tonight. 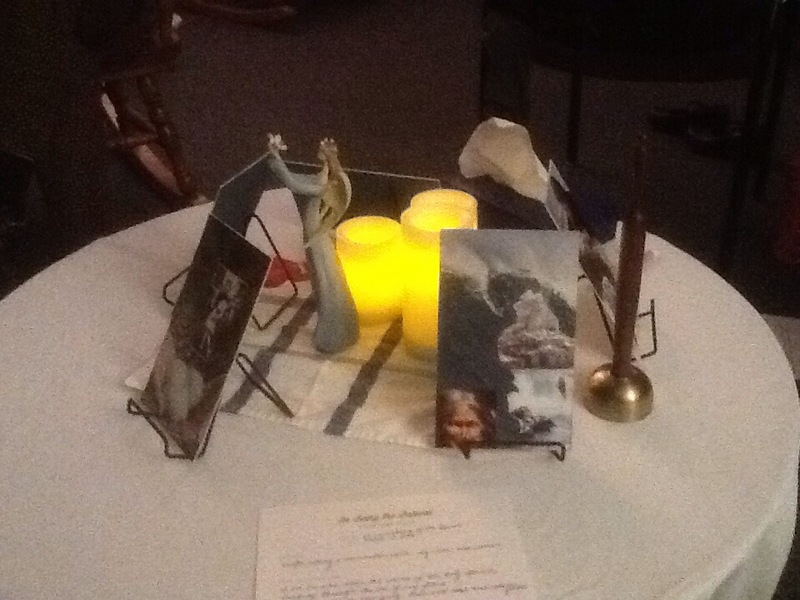 My small group was led in contemplative prayer by one of our members who is trained in the Soul Collage method. (Google it. Now.) We selected images and created a collage that was a lens to see ourselves in a new way. The journaling questions led us deeper into the collage, looking for connections and new insights about qualities that are emerging and aspects we’ve not noticed. I’m not very artsy-craftsy and would never have chosen this method for myself. But the invitation to explore myself in a new way enabled me to trust that my own abilities would not have the last word. And the Spirit faithfully showed up and got to work, leading me to images that spoke to me of the wave of grace and discovery that I am on. In this is abundant life: that even after many years of living, there is always more to discover about ourselves and the way God is working in our lives. I give thanks for Janet who brought us Soul Collage. And I give thanks for the abundant life that is carrying me into a new tomorrow.